I, like many other bloggers and food addicts worldwide, always considered this French dessert to be difficult. Egg yolks, tempering and baking in a waterbath. It is like combining my fear of scrambled eggs with cracked cheesecakes!! But ever since I started making ice creams, my range of desserts has really opened up! Custards are now a perfect side to just about anything 🙂 – I did use a huge amount of vanilla essence in place of the bean (once when the cream was brought to the boil then a touch with the vanilla)! This crème brulee has the perfect consistency, I am not joking. It is silk on a spoon which flows gently into the mouth. It is a beautiful rich brown from the Nutella and goes very well with the shards of crystal sugar which crack as your spoon enters for the first time. You see, for my birthday this year last year, a very dear friend of mine got me a blowtorch. No, not an arson style big gun, but a small handheld kitchen one of appropriate size. I was thrilled and I loved it at first sight but nothing I have made so far required me to use it. Till today. I was ecstatic. Gorgeous blowtorch, we finally come together! Everything was going great, the crème brulee was chilled and perfect consistency, the caster sugar was spread perfectly and then I got out the torch. Reading the instructions, opened the valve and there was no butane fuel included. NO FUEL INCLUDED!!!! I was angry and a couple of other frustrated expletives which do not belong on my blog. Next came the inevitable, oh-my-gosh-what-do-i-do-panic-panic-panic phase. Then I became rational and duh, looked it up on the internet. And everything came up with broiler (what I call a grill). Keep checking every 10-20 seconds before you always will run the risk of burning your sugar or worse (because you can scrape that off), curdling your hard-work-of-a custard! Molten Nutella Chocolate Lava Cake – The most popular by far (for both this week and I think on my blog), this is delightful take on the lava cake makes it one of the most decadent desserts in history! 4 Ingredient Nutella Brownies – Indulgence never seemed so fast or so easy or so fudgy. You won’t ever need more ingredients again! Strawberry Nutella Thumbprint Cookies w/ Homemade Strawberry Milk – The prettiest of dishes, I had to add a bit of decadent colouring into all those beautiful but only brown dishes! And who doesn’t adore berries? Nutella Crème Brulee – And now today’s final post, of slightly harsh appearance but with a taste of gold, we finish on a classic and traditional dessert enhanced by the wonderful taste that is Nutella! Like Liz of That Skinny Chick Can Bake put it – I hope you attain Nutella Nirvana! Once again, thank you for making this gorgeous week such a success!!! Oh my gosh… I just followed the link over here from Erika’s guest post for quinoa muffins, and… argh!! If I wasn’t sitting down I reckon I’d be weak at the knees right now! Those molten Nutella recipes are to-die-for Uru! I love the look of the brownie especially. 4 ingredients? Going over there right now!! Thanks for the genius recipes, as always! You’re amazing! Holy yummy goodness in this post. I want one or two of each please. So happy you liked all the nutella goodness! so sad nutella weeks are over!!! I loved reading them all! 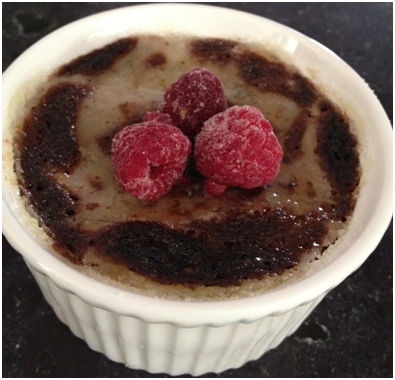 Crem Brulee was my absolute favorite prior to becoming a Vegan – it still makes me drool just thinking of it- love your version with nutella! No fuel, how frustrating that would have been. I have a industrial torch that is finicky, sometimes it works and sometimes it doesn’t. Anyhow you have had a very creative week and I really liked the theme. This last one is the most creative by far. I would have loved to have been there to sample all of these. Delicious. If you make, I know you will enjoy them! This looks terrific and you certainly had an amazing Nutella time! The creme brulee – I believe – is my favorite! I had the same issue with my torch – but once you have the fuel, they’re terrific! Oooh yummy! I made creme brûlée for the first time yesterday. Time to get some Nutella to make this fabulous creation 🙂 Thank you for sharing! All look amazing, but I think I’ll try your creme brulee first! A white chocolate version of your cheesecake sounds delish! I was personally thinking of making it a caramel chocolate version when I can make it! My family is addicted to Nutella, I’m going to have to block your site. Not really because then I can’t comeback for that Nutella Brûlée recipe. 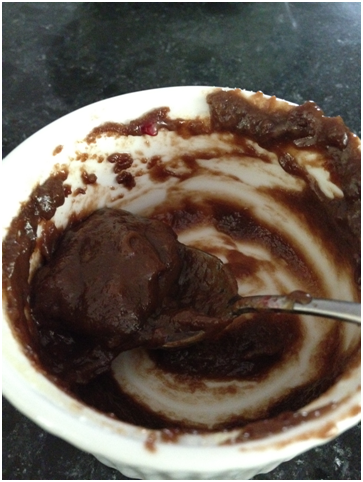 Have you submitted these recipes to Bella Nutella, http://bellanutella.com/? If you haven’t you should. I submitted a recipe a couple of months ago and I still get hits from it. As for the tip thanks! I could use all the publicity I can get! 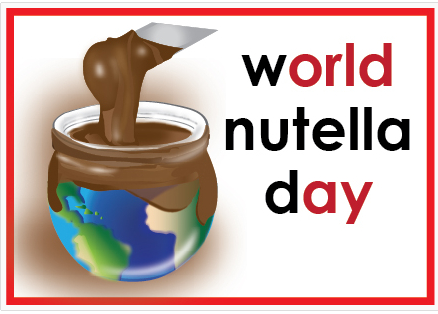 World Nutella Day is coming up. I made my dish this morning but there are so many delicious ideas here as well! I’ll go check it out now! But then I am getting ready for Australia Day!! I didn’t think it could get much better than creme brulee, but Nutella creme brulee is a whole different level of deliciousness! Wow…fabulous listing of nutella recipes!! I definitely love Nutella and that sugary crust on your brulee is just how I like it!! And I am in complete agreement – without the crack I just cannot get into it! Thank you for the tips on making a perfect creme brulee because I have failed the few times I tried making it. I also don’t have a torch, so I just spread a layer of sugar before baking. 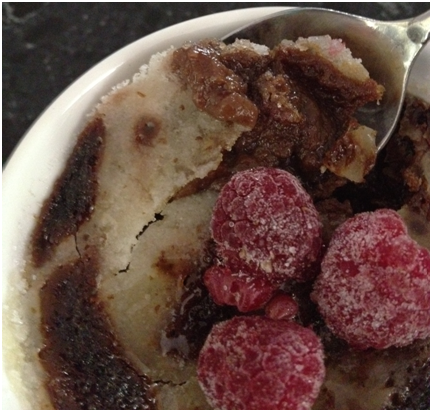 Though it does not give the same effects, it does add a crunch to the brulee. 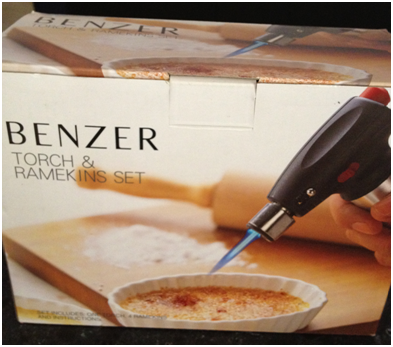 Not a problem – torch or not, Creme brûlée should be made properly and enjoyed to the fullest! but good to see the creme-broulee still came out amazing !